Time on the field has taught many values that transcend life principals. The 7th game of the 1985 World Series was amazing with one major factor learned about the professional sports culture. IT’S ALL ABOUT FUN! And at the age of thirty-four, more fun came in game seven than any other, a little stress at first but it soon dissipated. When reaching an eleven run lead in the fifth inning, flash backs as a youth kept racing through my mind. Back then, sports was pure fun but now fun in front of forty thousand plus and a large TV audience was better. Lou Holtz spoke at a recent fundraiser and said at one point in his early years he had come to a place of needing to make a decision about his future career. The conclusion, “whatever he was going to do, he was going to have fun”! When the Chicago Cubs recently won a World Series berth, 2nd baseman Javier Baez said in a post game interview, “the most important thing is to have fun”. Most professional athletes know that fun is central to achieving the best results. Science even acknowledges endorphins are released in the brain enhancing performance during relaxed and enjoyable experiences. If FUN is not marked mentality across the foreheads of parents, stress from performance and winning will sweep the family away. When our kids engaged in competitive sports, we were blown away by the tension in other families. There was the tension to win, tension from a co-dependent parent, tension over confusion of parental rolls and tension to compete for a college scholarship. The day a child becomes a financial hedge for a college scholarship, the fun will be gone leaving emotions from performance issues like the up and down of Wall Street stocks. We determined to reject the mentality of seeing scholarships as the reason for playing youth sports and it worked! We believe in the importance of a farmer parent over an architect parent. A farmer knows his seed and the condition needed to insure growth. The farmer doesn’t confuse corn with beans. The farmer parent knows their child and places them in the best place for development. An architect has a model in mind and then creates a design to implement. An architect parent can confuse a child’s design with their personal desire setting up the possibility of a bad experience. Janet and I do not always agree on issues, but she brings a world of knowledge in human behavior to the table while my expertise is from competition. Differences are good and when respected, influence each other for the greater good. Our role as parents is to listen and come together to provide a secure base for the kids so they see a strong supportive atmosphere. Parents should be able to understand their child’s design and move them in the direction of best fit. 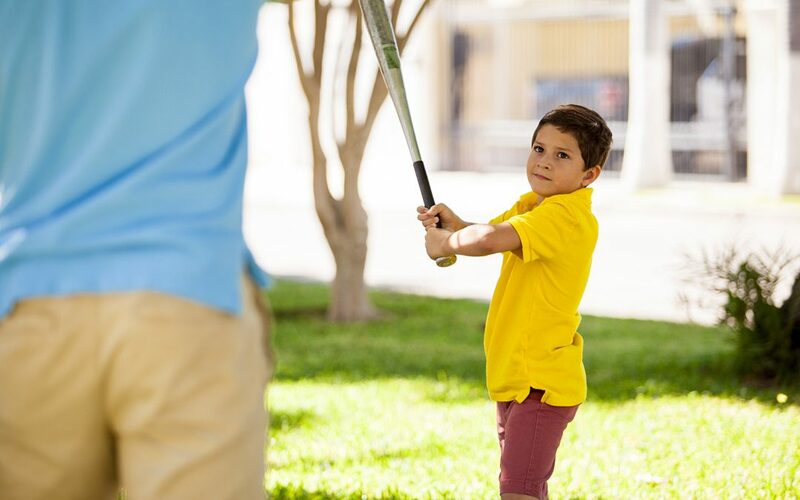 Have you spent enough time with your kids to match their skill set to the correct sport? Are they inclined to work better individually or in a team sports? Do your children tend to desire being out front or assemble in a supportive role? Knowing the answers to these questions and others will help you successfully navigating early youth sports.